The Similan Islands dive sites are without any question some of the best and most popular Thailand dive sites thanks to their crystal clear water, the incredible granite rock formations, and the abundance of marine life. The word “similan” derives from the ancient Malay word “sembilan” which literally means “nine”, as in fact the Similan archipelago is made of 9 islands stretching in line from south to north. Each of the islands has its own name, but for convenience most of the times they are simply called with numbers going south to north. The southernmost island is Koh Hu Yong (Island #1), then Koh Payang (Island #2), Koh Payan (Island #3), Koh Miang (Island #4), Koh Ha (Island #5), Koh Hok (Island #6), Koh Payu (Island #7), Koh Similan (Island #8) and finally Koh Ba Ngu (Island #9) being the northernmost of the Similan Islands dive sites. Here below we listed the Similan dive sites that we usually cover on our MV Giamani liveaboard cruises, in order from south to north. 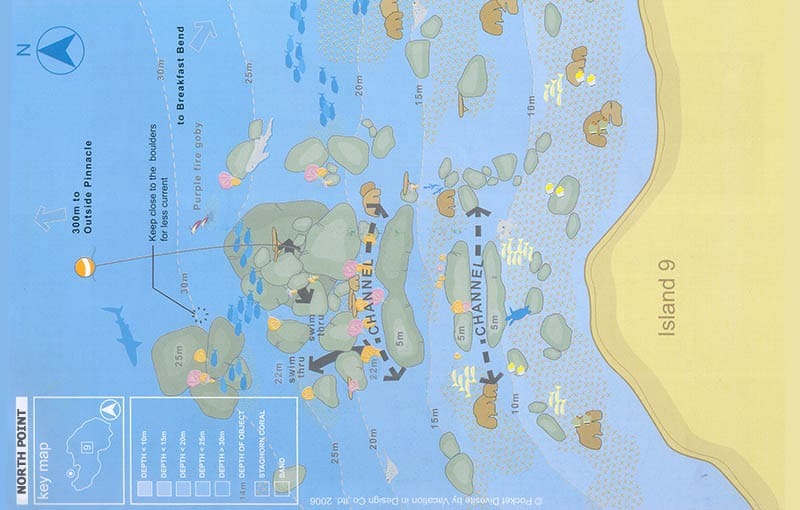 Shark Fin Reef is located at the southern end of Similan Archipelago and one of the best Similan Islands dive sites. 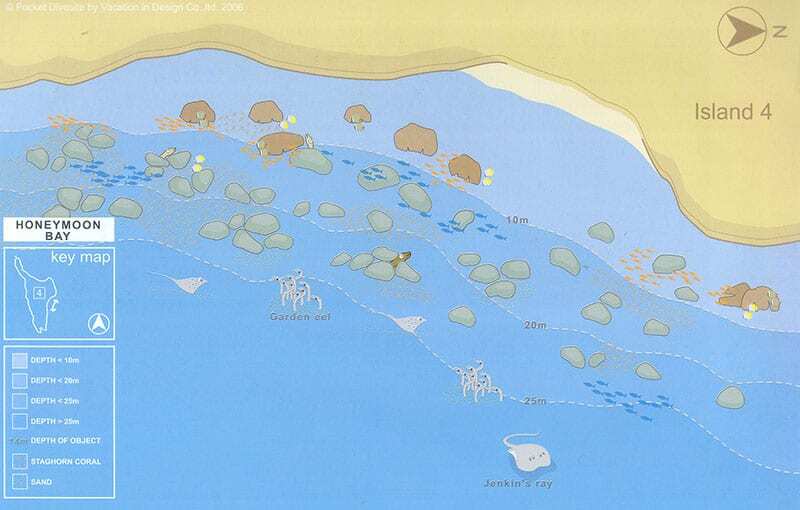 The reef is a long stretch of huge granite boulders extending all the way from Island #3 to the open sea. The underwater scenery is very impressive. Black Tip and White Tip reef sharks are a fairly common sight along the deeper parts of the dive site. Honeymoon Bay dive site is right in front of the lovely Honeymoon Beach, on the south side of Similan Island #4. Being one of the easiest and more relaxed Similan dive sites and because of its location it’s often the first dive site of most Similan liveaboard trips, perfect for a check dive at the biginning of the trip. 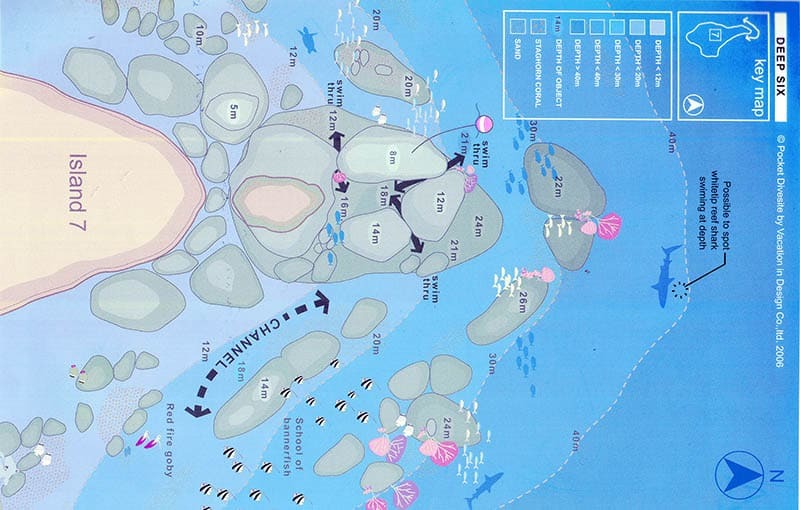 West of Eden is one of our favorite Similan Islands dive sites. 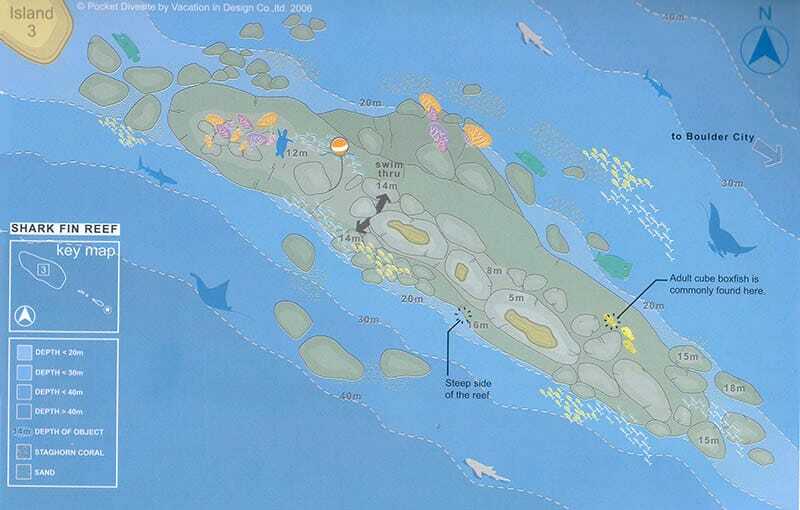 Situated on the west coast of Island #7, the dive site offers very diverse environment throughout. The southern part of the site is mainly a sloping and very healthy coral garden while moving further north the landscape changes into massive granite boulders, many of which are covered by colourful sea fans. 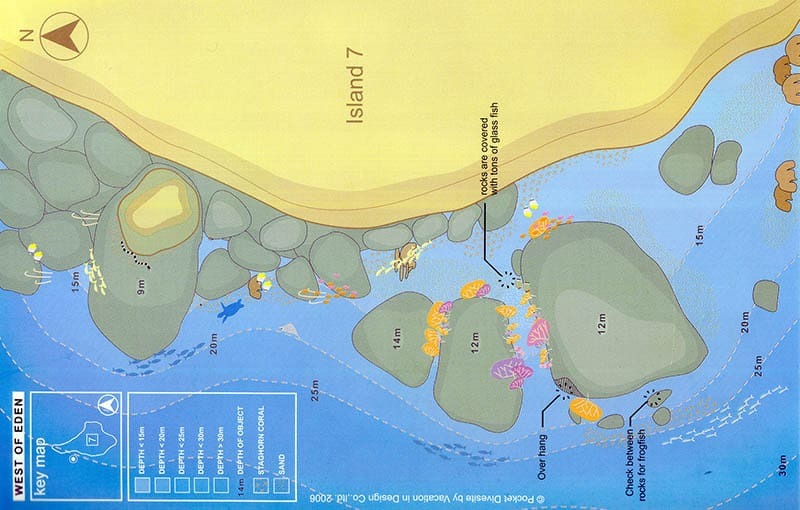 East of Eden, on the eastern side of Island #7, is one of the most famous and beautiful Similan Islands dive sites. The spot is temporarily closed for conservation reasons for an indefinite amount of time, the authorities have yet to communicate when it will be re-opened. The dive site consists of a slopy reef with a huge biodiversity in terms of coral and sea life. 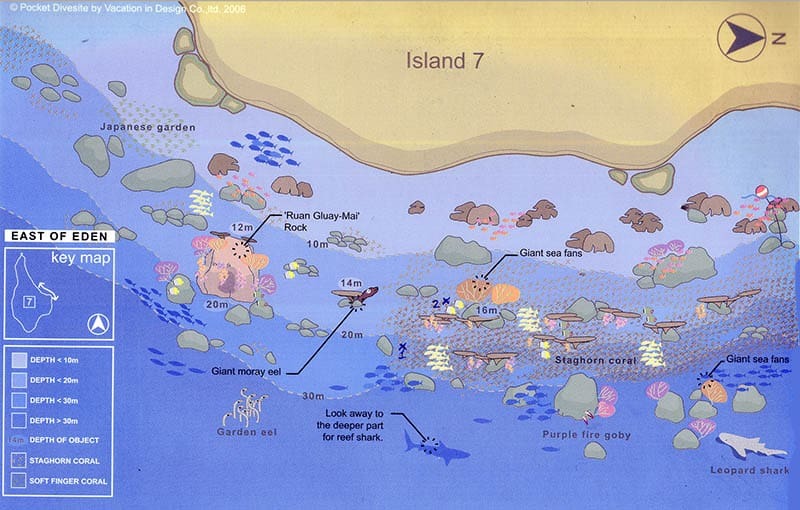 Deep Six is the Similan Island dive site situated on the northern tip of Isand #7. The dive site is impressive as it’s a large group of massive boulders that stretch from the island all the way to depths below 40 meters. In some cases, when the current is particularly strong, divers can drift all the way from Deep Six to West of Eden (or vice-versa). Elephant Head Rock is probably the most unique of the Similan Islands Dive Sites. The dive spot is basically a “bunch” of huge granite boulders in the open sea southwest of Island #7, piling up from depths below 40m all the way to the surface. Elephant Head Rock dive site is a gift from Mother Nature, as it’s like a massive underwater playground specifically designed for us divers. 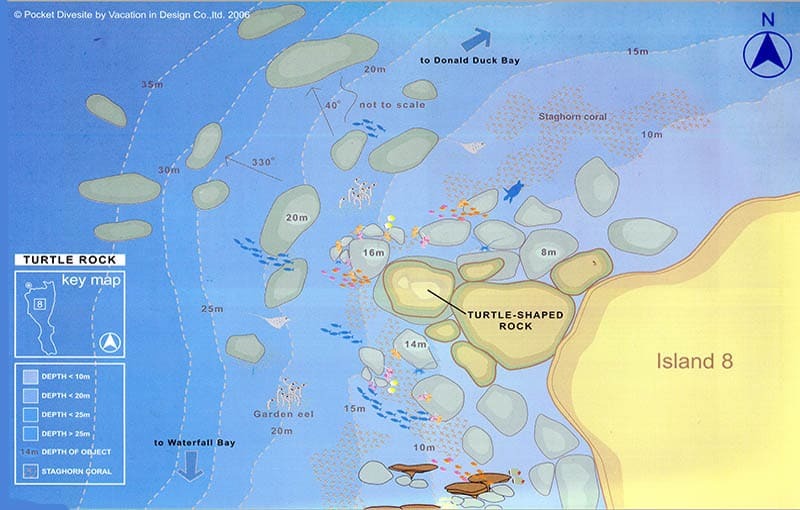 Turtle Rock is a pretty Similan Islands dive site located on the northwestern corner of Island #8. It has such a name due to a particular granite boulder that from the right perspective really resembles a turtle. The dive site consists of a large group of boulders that extend from the island and scatter in all directions, making it a very versatile dive spot to suit any dive profile. 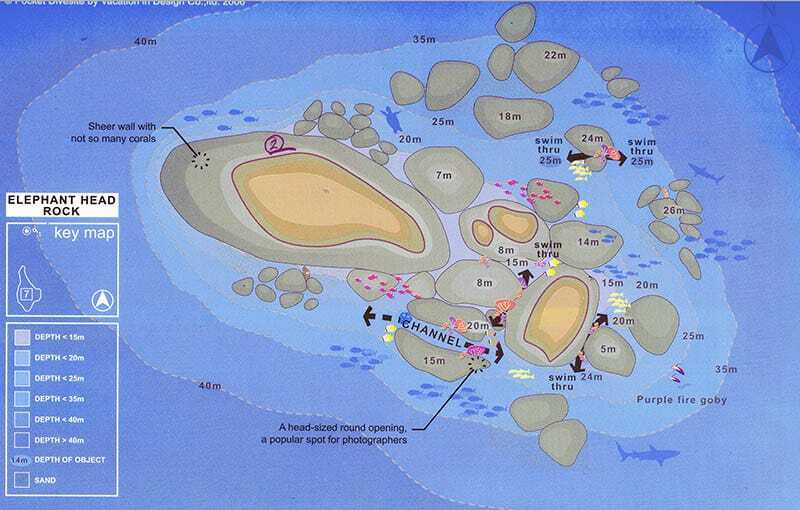 Breakfast Bend dive site, AKA “Three Trees”, is the sloping reef that covers the eastern corner of Island #9. The current can sometimes be a bit intense, but welcome because it always pushes all along the reef providing the perfect drift dive. Because the relatively shallow sandy bottom at around 18 m depth, we believe this is the perfect site for our 4th dive of the day (sunset dive). 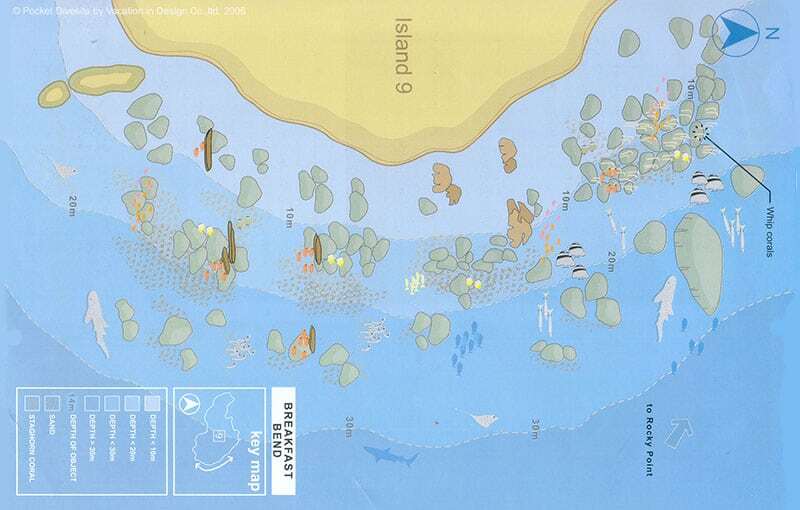 North Point, as the name suggests, is located on the northern side of Island #9. As common for many of the other Similan Islands dive sites, also North Point is a nice composition of massive submerged granite boulders that create some exciting swim-throughs and unique underwater scenery. On the other side of the boulders, where it gets pretty deep, it’s often possible to spot some white tip reef shark cruising by or resting on the sand.